Renovated brick ranch-style home with a sprawling, estate-sized yard (30, 000+ sq. ft.) directly adjacent to Larz Anderson Park and Buttonwood Village. The main floor living area features four good-sized bedrooms, including a master suite, and a hallway full bathroom. The contemporary kitchen with stainless steel appliances and polished concrete countertops meets an open-concept sitting room/dining room with plentiful windows. The large living room looks out over Larz Anderson Park. The finished basement is well-suited for guests and entertaining, with a full bathroom, laundry, and bonus rec room. Enjoy 2-car attached garage parking with a generous driveway. Living area 2, 214 sq. ft. main level + 399 sq. ft. finished basement + rec room. Solar panels for electricity. 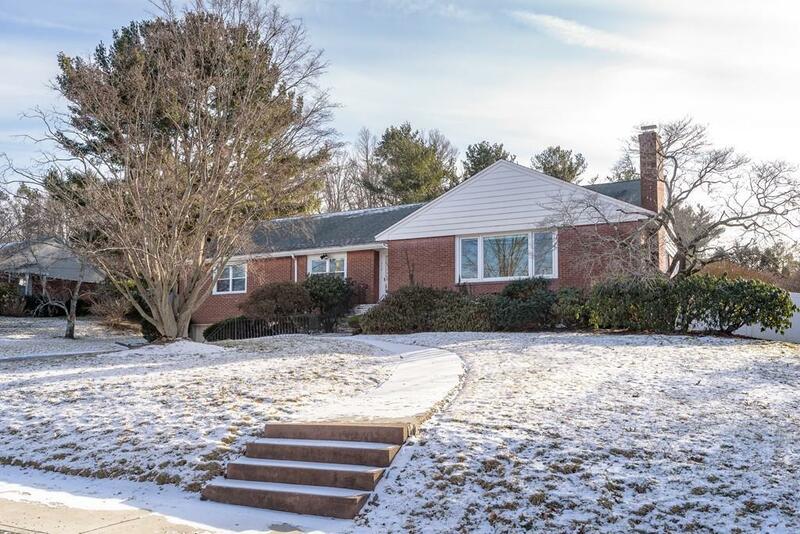 Situated between The Country Club, Dexter Southfield School, and Allandale Farm, and minutes to Cleveland Circle and The Arnold Arboretum/Jamaica Plain. Easy access to Faulkner Hospital and Longwood Medical Area.